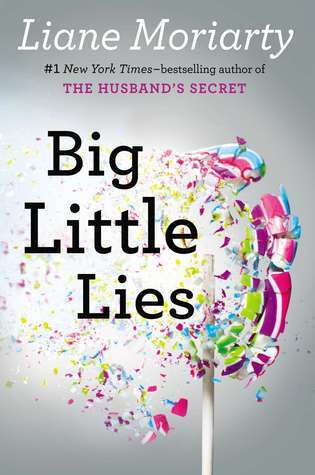 Quick Takeaway: Big Little Lies by Liane Moriarty is by far one of the best books I have ever read! I read it shortly after it came out, and I’ve made it my mission to force as many friends as possible to read this book. Who should read this? Anyone looking for a quiet contemporary mystery about female friendship and motherhood. Review: This is a fantastic book. It is fast-paced and incredibly engrossing. It revolves around three women who become friends while their children are all attending the same kindergarten class. Readers know from the beginning that, by the end of the school year, someone is going to die in a tragic incident at the school trivia night. The book is peppered with snippets of interviews from parents and faculty at the school event. While this may initially just seem like a gimmick, it is actually a really effective device that not only adds humor to the narrative but also adds depth to minor characters and propels the mystery forward as readers continue to wonder who will die – will it be one of the mothers, the teacher, a spouse, or someone completely unexpected? My favorite character, by far, is Madeline, a divorcee who is trying to come to terms with the difficulties that surround co-parenting. Her attempts to manage her turbulent relationships with her daughter and ex-husband were really emotionally moving as well as really funny. She was both likable and believable. I don’t want to give away too much of the mystery as I don’t want to be responsible for spoiling anything, but I would like to give one warning. This book does touch on the issue of domestic violence. It is not overly graphic, but certain scenes have the potential to trigger someone who is prone to being triggered regarding this subject matter. It is handled well, is not gratuitous, and it does serve a clear purpose in the book, but I just wanted to put this warning out there just in case. Final Thoughts: I think that this is an incredible book by an author who is continuously improving. Her last three books were really incredible, and I’m so excited that she has another one coming out in 2016! This book has a really wide appeal, and I think that lovers of mysteries, contemporary fiction, and women’s fiction will all really appreciate this book. Also, I hope that any male readers are not turned off by the themes of motherhood and female friendship. I think that the depictions of human interactions and relationships in general should appeal to all readers, and I think that all genders will find the book engaging.